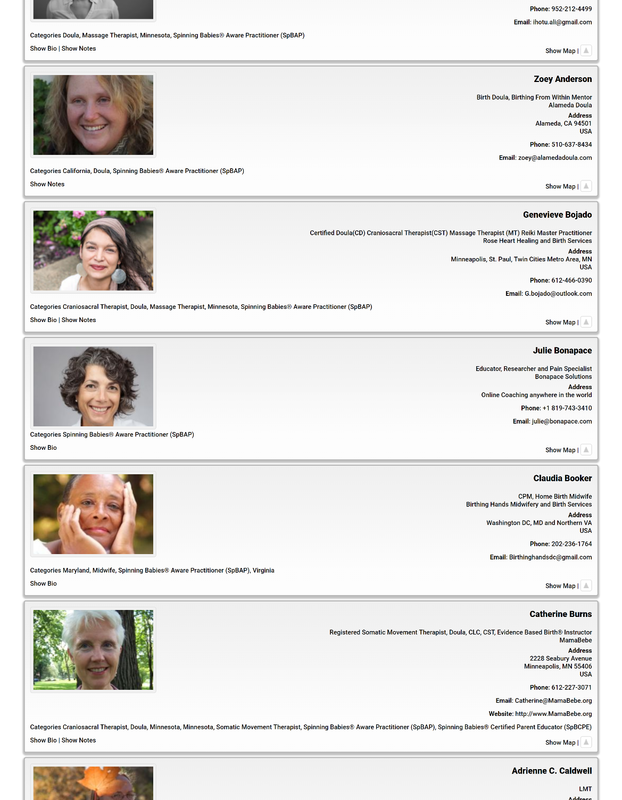 Join the Spinning Babies® Aware Practitioner Listing with our NEW advanced course! 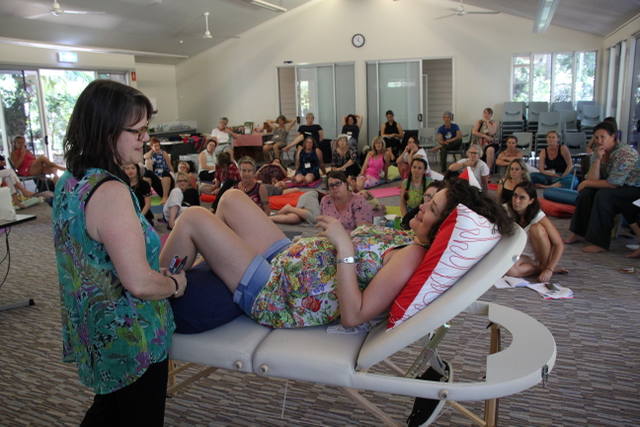 Embody our paradigm for fetal positioning in this clinical course for professionals. 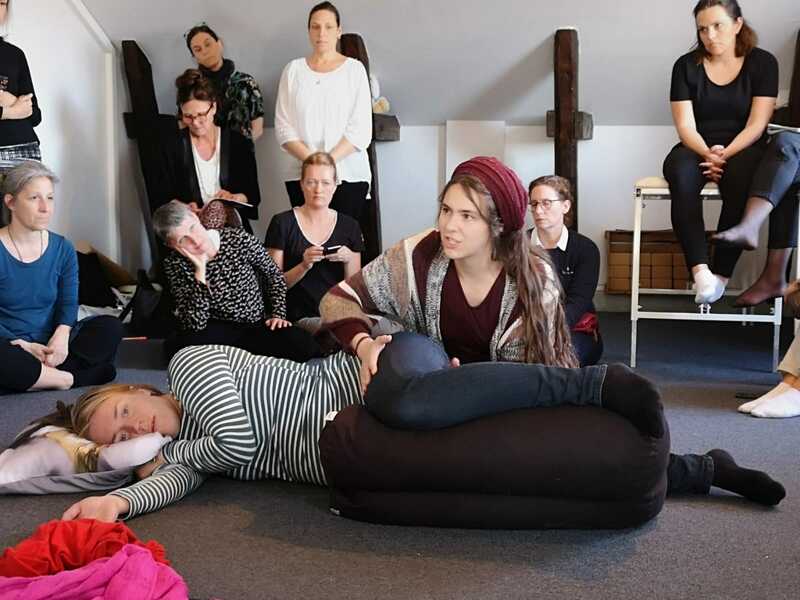 Midwives (traditional, out-of-hospital, hospital-based) and bodyworkers (chiropractors, physical therapists, massage therapists, traditional bodyworkers, acupuncturists). *Teacher’s note: Must have minimum 1 year of experience with bodywork/birthwork and have practiced within the past 2 years. Midwifery and chiropractic CEUs being applied for! Learn advanced skills to promote body balance for fetal positioning and pregnancy comfort, and breech body balancing. Used in pregnancy, the birth process or generic balancing for non-pregnant people. Hands-on techniques beyond those at the Spinning Babies® Workshop, with case studies and integrative group work. With many millions of independent visitors to our site each year, a huge mailing list and following on social media, we get daily requests from parents looking for support in pregnancy and birth. We want to help pregnant people identify Spinning Babies® Aware Practitioners. Your Spinning Babies® Workshop must be completed before attending the Workshop. 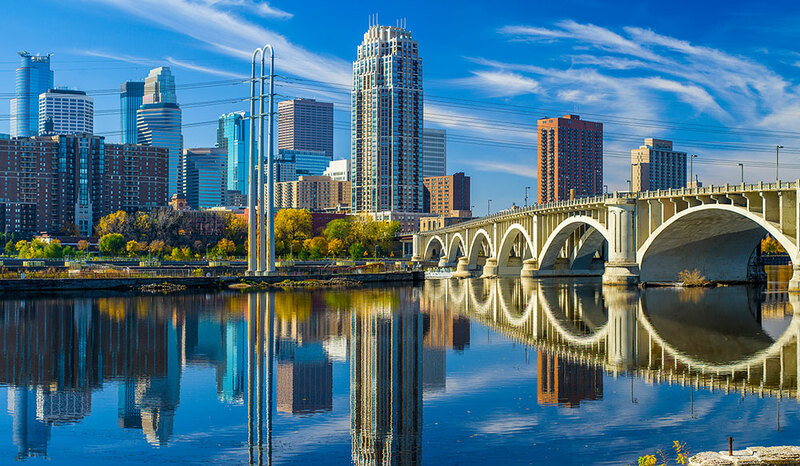 Rachel is a Spinning Babies® Approved Trainer, a licensed and certified midwife, and prenatal and postpartum yoga teacher from MN, USA, practicing for many years in various settings of birth center and home birth practices. 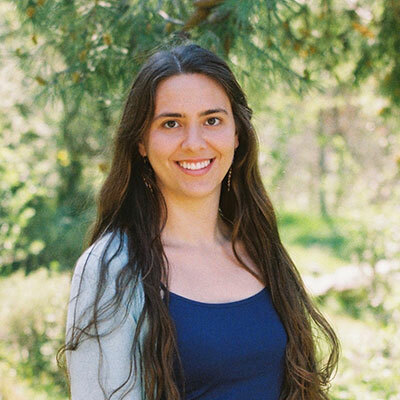 She has been a certified massage therapist for over 10 years and currently has a private practice for body work in Ein Karem, Jerusalem. She has studied Spinning Babies for over 8 years and contributes to Spinning Babies’ educational materials. 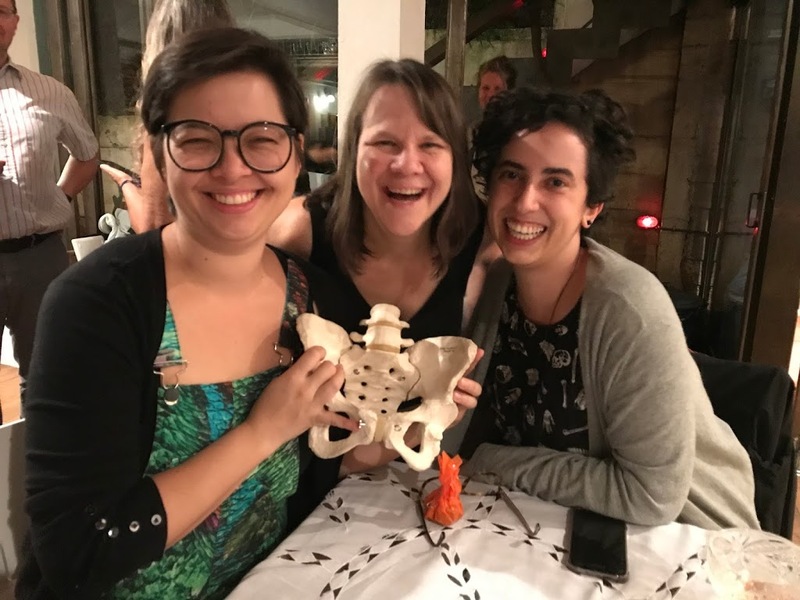 Rachel completed her BSN (and is currently completing her CNM) at Shaarei Tzedek Medical Center, and has been privileged to teach Spinning Babies to midwives, doulas, and physicians in Israel and around the world. She is currently developing a hospital-based research study on Spinning Babies. 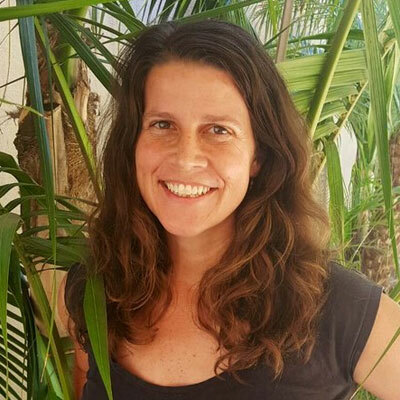 Nicole Morales, LM, CPM, Spinning Babies® Approved Trainer, has a homebirth midwifery practice in San Diego, CA and is an instructor for Nizhoni Institute of Midwifery. She gave birth to her third daughter breech, which led her to her passion for breech birth and breech body balancing. 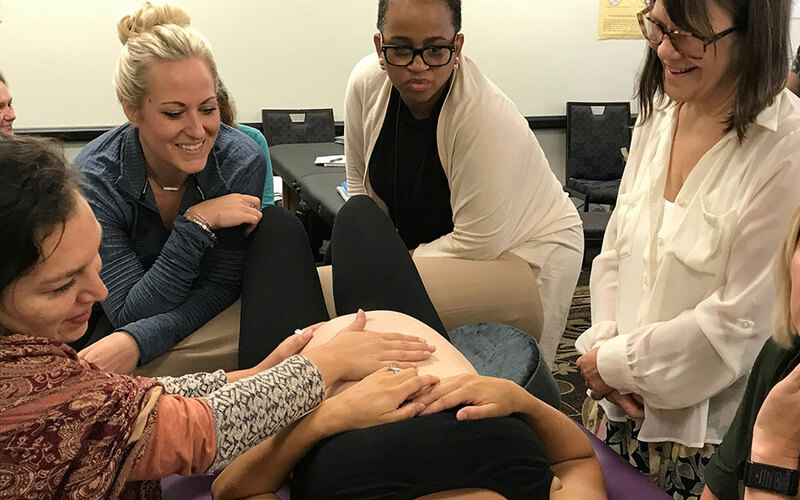 Nicole teaches Spinning Babies® Workshops, Breech Body Balancing, Resolving Shoulder Dystocia, and Birthing from Within® Workshops, and a Storytelling, Healing, and the Birthworker’s Journey workshop. 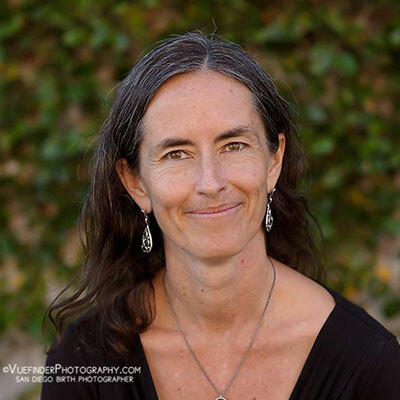 Jamie has been serving the San Diego community as a massage therapist for over 18 years and started attending births as a doula in 2009. A mother, birth doula, storyteller, Birth Story Listener®, bodyworker, and certified Birthing From Within® childbirth educator, she has studied, practiced, and taught numerous modalities and holistic traditions over the years, with a strong specialization of working with pregnant, laboring, and postpartum people and their families. The Spinning Babies® approach to birth, by helping create more awareness of space and freedom in the body, is the cornerstone of her embodied birth practice. 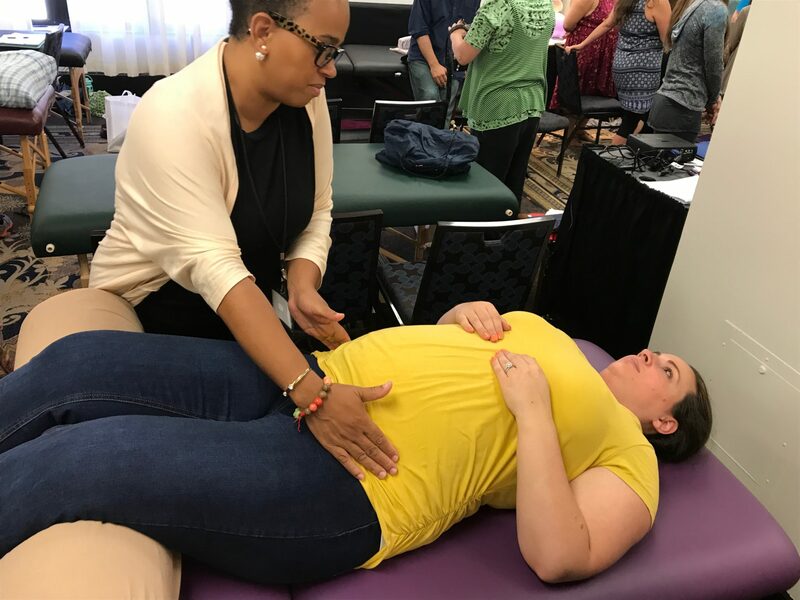 As a bodywork educator she places special emphasis on cultivating creativity, intuition, and the importance of modeling self-love, embodied connection, and willingness to step into the unknown with loving presence for our pregnant clients.